We love a challenge at Skyburst and have created some really exciting projects for events in the past. From a giant glittering tardis to a uniquely designed panjandrum no idea is out of the question! We have used fireworks to create a huge sheep’s head, a logo for a festival, hearts and smiley faces and even fire writing. 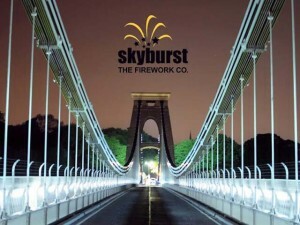 Listed buildings and unusual structures can provide stunning backdrops for firework displays and Skyburst can navigate the intricacies involved. We recently fired a special display to mark the Olympic torch coming to Bristol by shooting streamers and confetti from the Clifton Suspension Bridge. Here is an event where we re-created the Great Panjamdrum. A prototype weapon from WW2, where it would be filled with several tonns of explosives and travel up to speeds of 70mph. Unfortunately it was so unpredictable and had a high risk of injuring our own solders, this weapon was taken out of production very quickly. 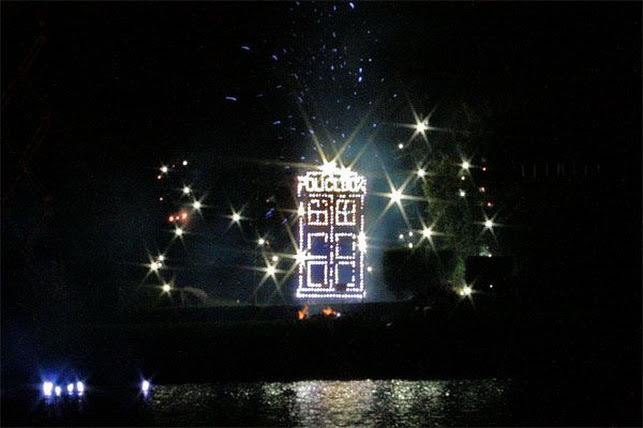 We re-created the Tardis from Dr Who to compliment our Sci-fi themed competition show we fired at Southport British Musical Championships [hypa link to gallery]. Which we also used our uniquely created chromotrope wheel to accompany this.